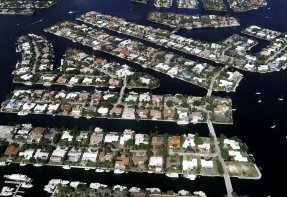 There is a very good reason that Fort Lauderdale is called the Venice of America. 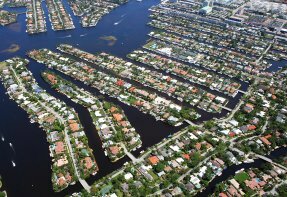 More than 300 miles of navigable waterways wind through the neighborhoods of beautiful homes and grand condominiums, all the way into the exotic, almost primitive Everglades. The Atlantic Ocean borders the entire coastline while the Intracoastal Waterway flows from the northeast right through this fun city, Miami and Key West. Whether you are a boater or just love the serenity of sparkling water, this is where you will find it. 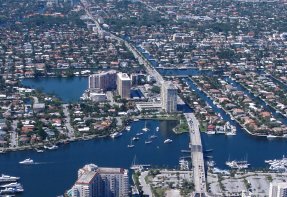 Located almost in the middle between posh Palm Beach and glitzy Miami, Fort Lauderdale offers something for every taste and every pocketbook. World class dining runs the gamut between haute cuisine and the hot dog, from dining with panoramic views to sports bars – we have it all. The “season” brings sun seekers who are trying to get away from the rigors of wintertime up north, so the beaches are brimming with people. Cruise ships come into Port Everglades and buses and taxis take the cruisers sightseeing and shopping. On the west side of the city there is the huge Sawgrass Mills outlet shopping which attracts people from around the world and has expanded to include a “designer” area called The Colonnade and a wide variety of dining. Our homeowners have the good fortune of living so close to where they play, have fun and where they work. 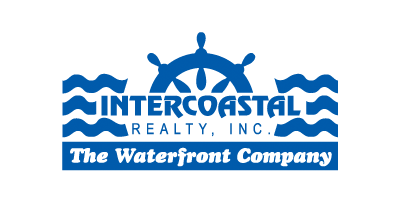 Large yachts are able to traverse all along the Intracoastal Waterway and its many canals and view the luxurious residences built along these shores. Smaller boats have an infinite variety of learning experiences about our rivers and canals as they meander westward and offer a completely different lifestyle. Smaller boats can also explore the native beauty of the Everglades although airboats are necessary for going deep into the Everglades. It is truly a tropical paradise which beckons to many lifestyles.